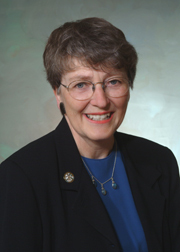 Sally Thomas represented the Samuel Miller District on the Albemarle County Board of Supervisors from 1994 through 2009. She first won election to the board in 1993 as an independent write-in candidate, and was also unopposed in 1997, 2001 and 2005. She announced she would not seek a fifth term on April 8, 2009. Thomas assisted with the formation of the Albemarle Responsible Citizens’ Alliance in May 2011 and was named its Honorary Chair. Thomas grew up in a small town in Oregon and has B.A. and M.A.T. degrees from Harvard/Radcliffe in Government and Education. She and her husband, George Thomas, have lived here since 1963, raising two daughters who attended Albemarle County public schools. Before being elected in a write-in campaign in 1993, Thomas was Director of Governmental and Community Relations at the University of Virginia. Thomas served on the Albemarle County School Board and was president of the local League of Women Voters. Thomas was also appointed to the Albemarle County School Board as the At-Large member during 1980-1983. In Charlottesville Tomorrow’s 2005 election Voter Guide, Thomas said protecting the rural area would be her top priority in another term on the Board. In December of 2006, Thomas published an open letter with her recommendations on how to address the County’s goals of preserving its rural fields, farms, and forests from residential development. In 2010, Thomas was awarded a planning leadership award from the Virginia chapter of the American Planning Association. Thomas represented the Samuel Miller district since 1994 when she won the 1993 election in a write-in campaign over Carter Myers by a margin of 192 votes. In all elections since, Thomas has run unopposed. "I originally ran to give Samuel Miller voters a choice when only one name was on the ballot," said Thomas. "Since then, I’ve been privileged to serve those voters and all the residents of Samuel Miller and the County....I love the job and the responsibility that the voters have given to me, but sixteen years probably is as long as one should stay, so I won't be running for re-election this November." ↑ 'Sally Thomas announces retirement from Albemarle’s Board of Supervisors', 8 Apr. 2009. Brian Wheeler. Charlottesville Tomorrow. 21 May 2009. ↑ Web. Local activists call for public action on environmental and sustainability initiatives, Brian Wheeler, Charlottesville Tomorrow News Center, Charlottesville Tomorrow, 2 June 2011, retrieved 20 October 2011. ↑ Web. Award Winners 2010 Summary, Virginia Chapter of the American Planning Association, retrieved December 1, 2010. This page was last edited on 5 June 2013, at 12:45.